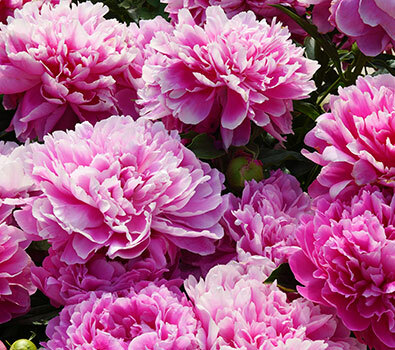 The Peony is a flowering plant in the genus Paeonia, the only genus in the family Paeoniaceae. They are native to Asia, Southern Europe and Western North America. Boundaries between species are not clear and estimates of the number of species range from 25 to 40. Most are herbaceous perennial plants 1–5 ft tall, but some resemble trees 4–10 ft tall. They have compound, deeply lobed leaves and large, often fragrant, flowers, ranging from red to white or yellow, in late spring and early summer.